Let’s take a look at a 40-year-old woman in Maryland earning who earns $40,000 a year. Based on this income, she qualifies for a $133 reduction in her premium, which is called the “Tax Credit.” Now, let’s assume, like eighty 80 percent of all Americans, this person is basically healthy and goes to the doctor two to three times per year and is prescribed two or less generic prescriptions. After receiving the $133 premium reduction, the cost for a Bronze plan is $254 per month and the cost of the Silver plan is $425 per month. The Bronze plan has this individual paying all the claims, except routine physicals, up to a $6,500 deductible. The Silver plan has sick visits at a $30 copay before a $3,500 deductible. Both plans have the same “out of pocket” maximum of $7,350. 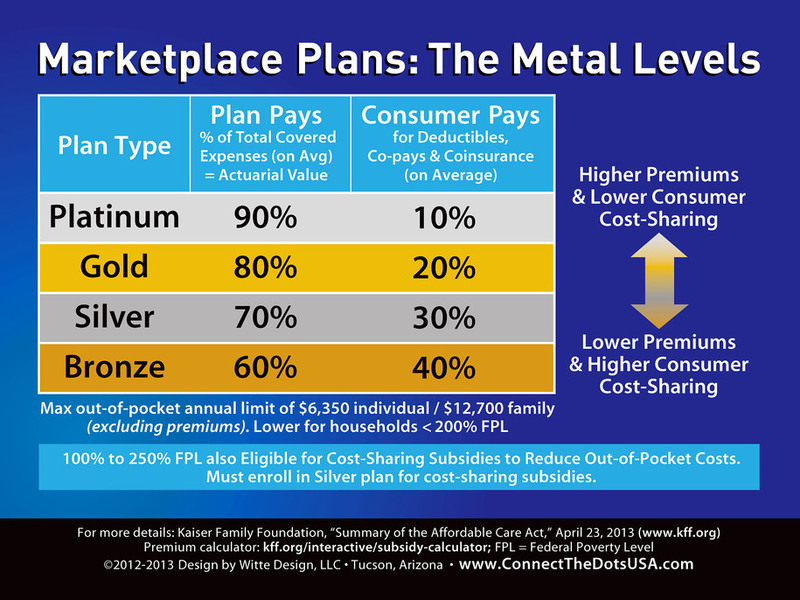 The difference in annual premium between the Silver and Bronze plans in this example is $2,052 a year. In this example, it makes the most sense for the woman to select the Bronze plan and self-pay the small claims as the savings of premium is much more than the amount she will spend in actual claims in a normal year. Yet, at $3,048 per year the Bronze Plan still comes at a very high cost, representing more than ten 10 percent of this person’s take home income – just for a health insurance plan from which they will get no benefit in a normal medical claims year. According to Kaiser Family Foundation, only 6 percent of claimants have a claim over $2,500 a year. Thus, as with the example of the 40-year-old woman in Maryland, it makes economic sense for the majority of people to go with the Bronze plan as the savings of the premium is greater than cost of small claims. Short-term medical insurance. Currently, these plans can only be written for three months and then must be renewed, which is cumbersome. However, now short-term plans will be able to be written for 360 days and renewed for up to 36 months per a recent Department of Labor ruling. These plans involve a medical questionnaire and do not cover pre-existing conditions. For our 40-year-old example, the cost of a $2,500 deductible plan with a $4,500 out-of- pocket maximum per year would be $49 a month for three months. This plan has a $750,000 maximum benefit and offers one sick visit per year with a $50 reimbursement. The down side to these “Off Exchange” plans? If you develop a major illness while you are on the plan, you will most likely not be renewed. You will have to wait until the January 1st Affordable Health Care Open Enrollment to elect a plan with no pre-existing conditions or limitations. For some people, the savings may be worth the risk. Hospital and Surgical Indemnity Plan. The second alternative is a hospital and surgical indemnity plan purchased off the Exchange. These plans cover part of the cost of going into the hospital or having a surgery, since these are the major health costs for a person who needs financial protection. This plan is $204 per month and includes a bill negotiator service for any medical claim over $1,500, tele-medicine services for a $25 copay, and four first-dollar sick visit benefits of $100 with no high deductible. The benefits have a published fee schedule approach. For example, if someone goes into the hospital and has a surgery that requires a two-day stay, the member would receive a check for $10,000, which should cover much of the cost. These plans have no underwriting questions, so you cannot be turned down unlike the short-term medical plans. Like the short-term medical plans, you can go to any doctor or hospital you want. This is one of the big advantages when compared to the “On Exchange” limited provider network plans. These plans come with a 12-month pre-existing condition waiting period. Unlike short-term medical plans, there is no time limit on how long you can keep the plans. 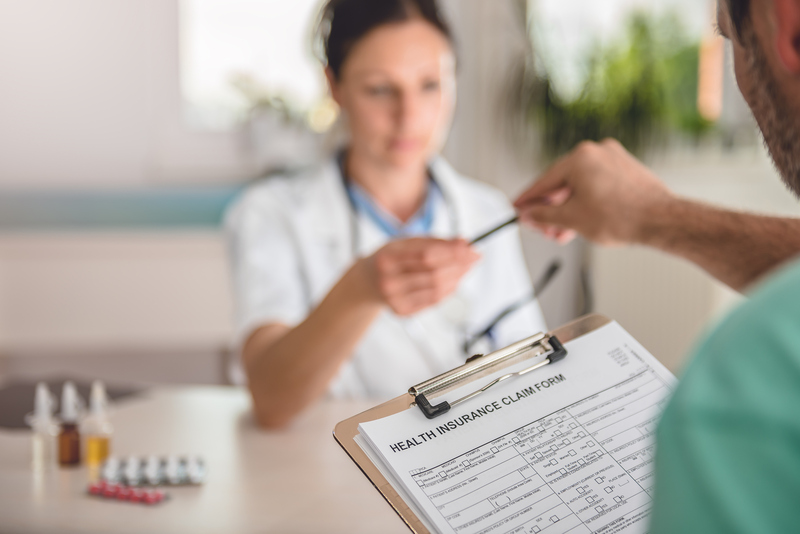 These plans supplement what you owe medical providers, but are not designed to pay all charges in a catastrophic event like the Affordable Care Act plans. In conclusion, there are some new options opening for Health Insurance which will significantly reduce the cost but may not be the right fit for everyone. These new options are worth exploring to see if they meet your specific health needs and budget.